We have included below some of the beautiful historical photographs from the book. 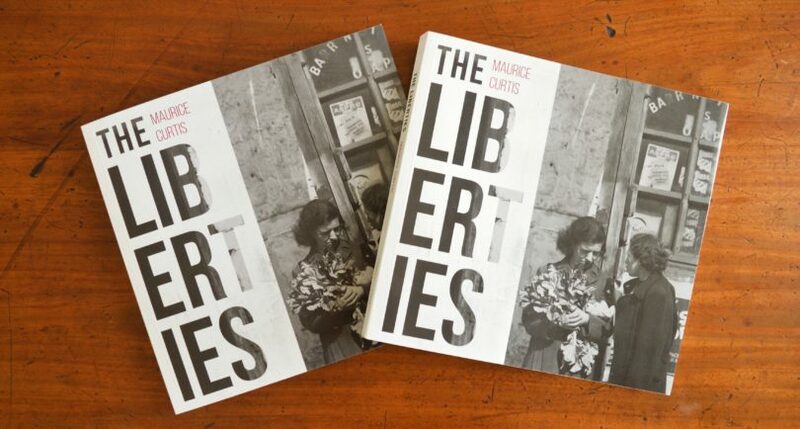 The photographs are brimming with life, and help make this book the perfect way to discover the history and extraordinary stories of the Liberties. Working in the Guinness Brewery, James’s Street, in the 1940’s. Courtesy of Dublin.ie Forums/dan1919breen. Guinness Brewery has dominated Dublin life and invaded our nostrils since 1759. The two main brewery smells derived from the Guinness-making process of roasted barley or boiled hops are instantly recognisable to local residents. Taylor’s Lane in the 1940’s. Courtesy of Dublin.ie Forums/el gronk. 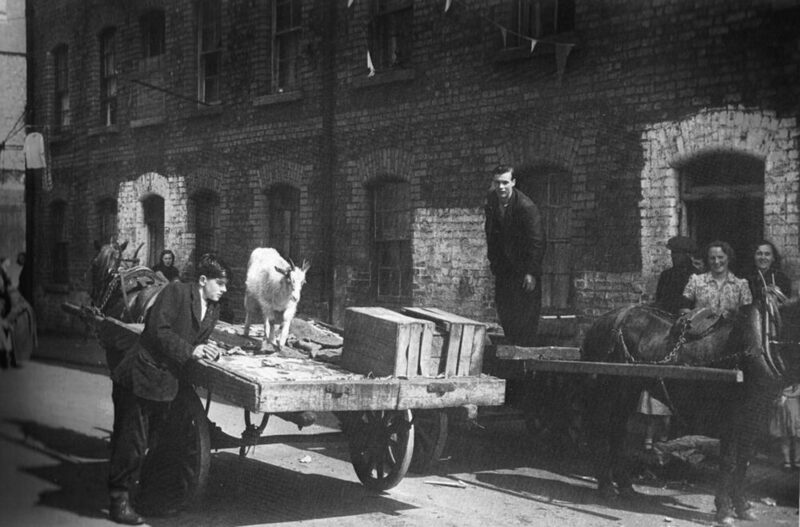 Picture shows a goat being delivered to a house. Goats would be a source of milk, cheese and meat. In Dublin in those days, most of the goods, including milk and casks of Guinness stout, were still delivered by horse-drawn drays. Horses were an everyday sight along the streets of the Liberties and the wider city. Bare-footed children from the Liberties would have been a common sight in Dublin because of the poverty of many families. 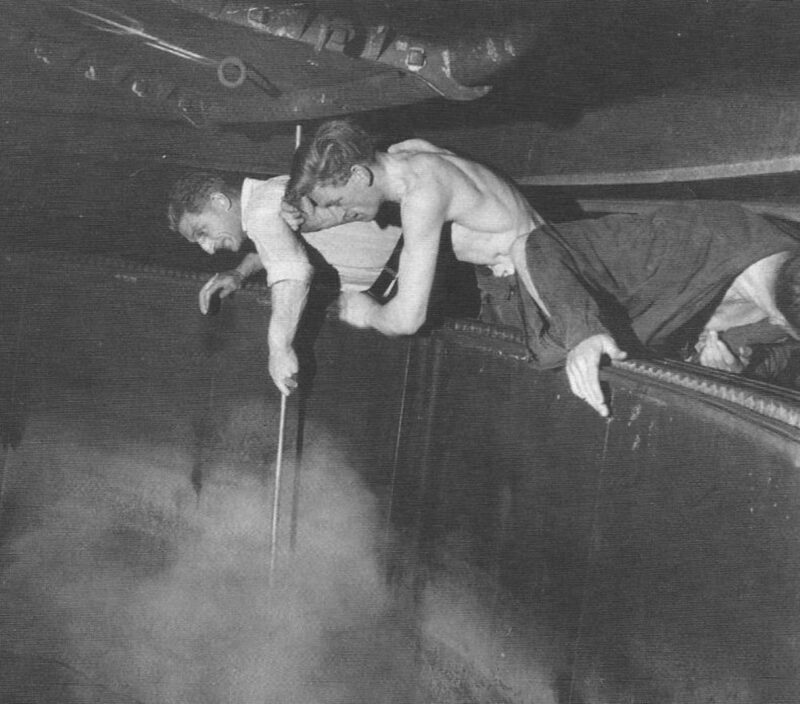 The harsh conditions endured by the working classes intensified during World War II. 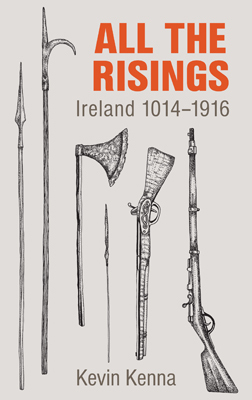 Ireland was in a state of emergency and experienced severe shortages of food and fuel. 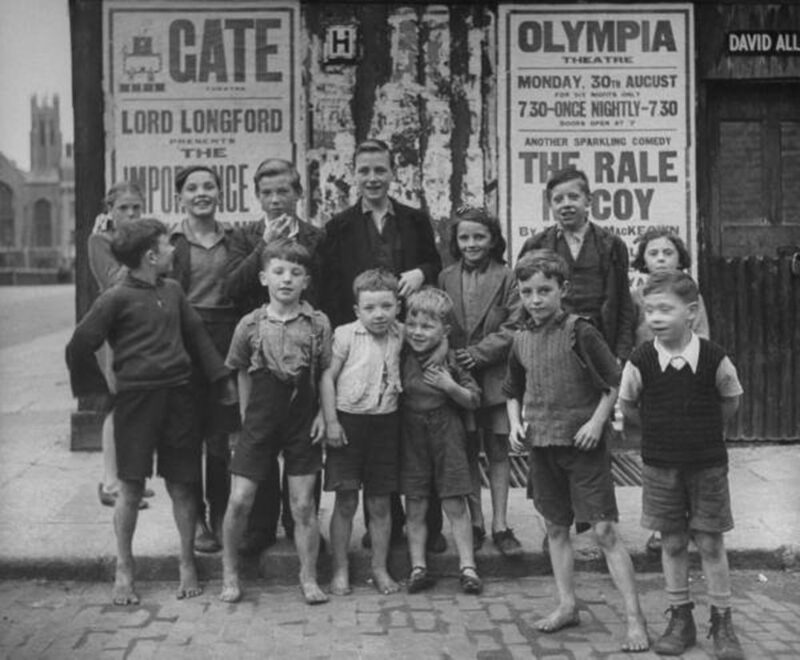 Marrowbone Lane was revived in 1941 resulting in a public appeal through the Dublin Rotary Club to help alleviate poverty. The Herald Boot Fund was set up to provide footwear for many children where shoes were unaffordable. If you want to learn more about the rich history of The Liberties, click here.